I've designed an "homemade" FPGA dev board (EP2C5T144C8N based) and I'm currently making the first tests. I've used one of the "dual-purpose" FPGA pins to drive a LED too (see LED4 on the attachment jpg). The FPGA pin is ASDO. The board uses an EPCS4 as eeprom in AS mode. In the Cyclone datasheet (ehm... they call it "handbook"...) they says that the "dual-purpose" pins can be used as normal I/O after configuration if JTAG is used (not if AS is used). More, there is a bug in Quartus II v13sp1 (the last one version that supports Cyclone II) on the "dual-purpose" pins and you have to chose "Passive Serial" mode when compiling to avoid an error (when using JTAG to transfer the bitstream to the FPGA the AS or PS mode selection is irrelevant...). I'm able to compile and transfer the bitstream successfully (and without any error in the compile phase) to the FPGA using JTAG, but the Led on the ASDO pin doesn't turn on. I'm sure that the Led works because in the AS mode, when the FPGA loads the bitstream from the EPCS4 eeprom, that Led is active showing the load phase. Anyone has experimented anything about this (I haven't found any indication on the Altera/Intel forum or docs about this, and I know that is very "specific", but I'm curious...)? You can configure the behaviour of "Dual-Purpose Pins" with the "Device and Pin Options" of Your project. ASDO is configured together with nCSO "As input tri-stated" or as "Use as regular I/O". configflash and NCSO to nCS. the configflash would not readable. With Quartus 9.1 there is no choice: "Use as regular I/O"
but only together with "Passive Serial" as Configuration Device. With my board i am unable to start the FPGA without the configflash. So ASDO is already configured in some way before JTAG comes in. 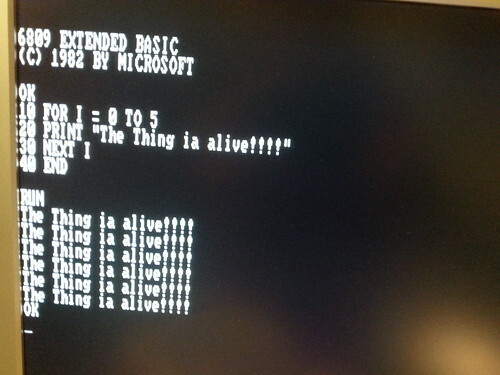 and write this via JTAG to Your FPGA. Its only a test to proof that ASDO is a "normal" IO-Pin after rhis. But JTAG is not the normal way to configure the FPGA. With a EPC4 this would be "Active Serial". This is the same result I get with Quartus II v13sp1. This is a good idea... Next board I assemble I'll leave the EPS4 unpopulated so I can do this test. I'll post here any further result. I've tested this way and it worked (I mean the configflash write, not the use of ASDO as IO pin...)! Of course after the write operation you must load the bitstream asserting the nCONFIG signal, and it will be loaded in AS mode. 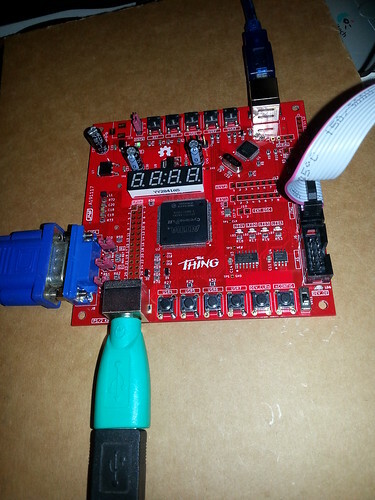 Just to complete the info, as suggested by h0nk, I've made a new test on a new board without the EPCS4 eeprom soldered. But the behavior was the same... at compile time all seems ok, but anyway the ASDO pin didn't work as an IO pin ... (using JTAG to program the configuration). So or there is a "bug" in Quartus II (v13sp1), or when MEMSEL0/1 are set in the AS/JTAG mode (both LOW. See the attachment in my first post) the ASDO pin can't be used as IO in any case (and the datasheet is not clear about this...).